Cougar, wild boar or bigfoot. Last edited by js4fn; August 18th, 2018 at 01:31 PM. 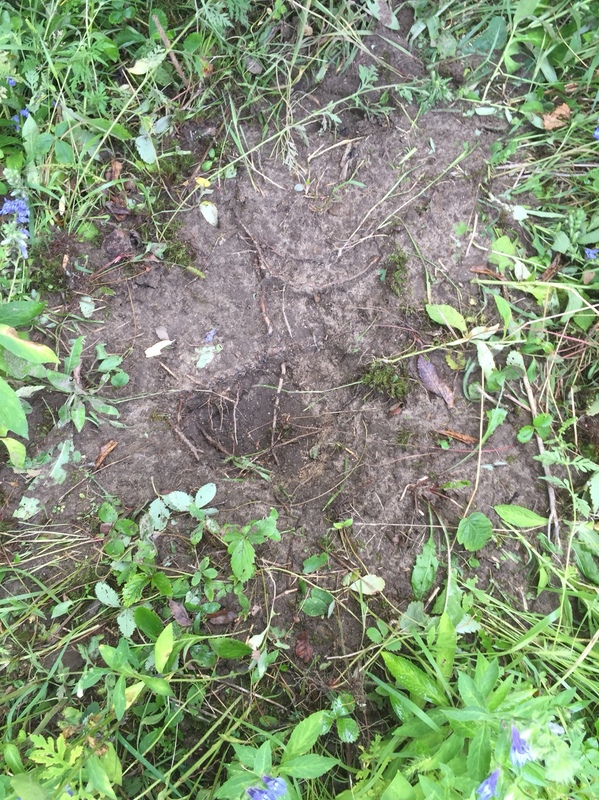 Skunks regularly dig up yellow jacket nests. I like your stand location. I would try and break up the silhouette a bit more with some branches tall grasses to make it look more natural. Your clover is doing well! My clover is coming along but the drought here really slowed it down and pretty much did in my turnips. Looks like skunk digging up those holes. 's the work of bears where I live. They love the larvae in the nest. I guess it's worth the stings on the muzzle! I would agree except there's no claw marks or tracks. I see Bear "rips" around the camp on a regular basis in the off season (naturally LOL) and there's no mistaking them . These seem to be a lot smaller area.